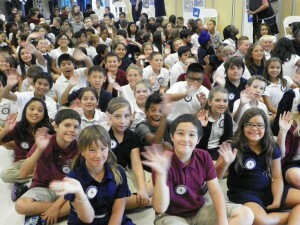 The AV Times: Gregg Anderson Academy hosts grand opening ceremony! LANCASTER – It was a big day at the new Gregg Anderson Academy as Westside Union School District welcomed public officials, local community leaders and the late Gregg Anderson’s family to a ceremony Friday morning to commemorate the school’s opening and to honor its namesake. The program included remarks by Board Members and local public officials; students of various grades also performed songs and recitations for an audience of parents and community members. Gregg Anderson is Westside’s newest STEM school, with a curriculum that emphasizes Science, Technology, Engineering and Math. The campus employs advanced technology in the classroom, including new computer labs, Smart Boards and other high-tech classroom materials. Students will receive training in the use of this technology to help prepare them for the challenges of the future. McKeon said he loves to see the excitement in all the students. “They are still believing they can do and accomplish anything. 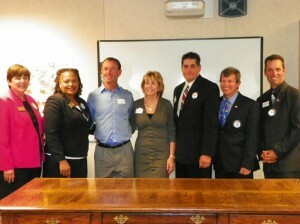 They are our future,” McKeon added. Speakers highlighted the life and legacy of the late Gregg Anderson and the influence his name will have on the students. Curiel expressed to all the students the importance of following Anderson’s example. At the end of the ceremony, students and attendees gathered outside for a balloon release to honor Gregg Anderson.